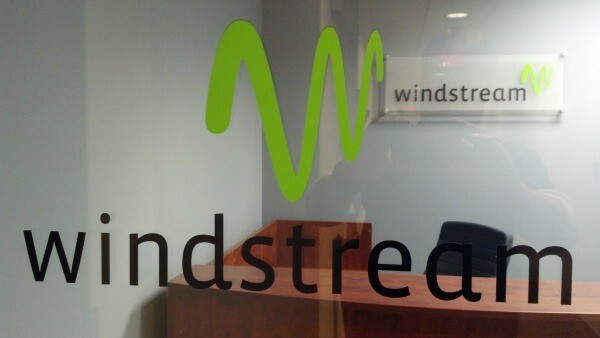 Poor Windstream. Should of upgraded your systems a long time ago. Oh wait. You don’t have enough money even to do that anymore. 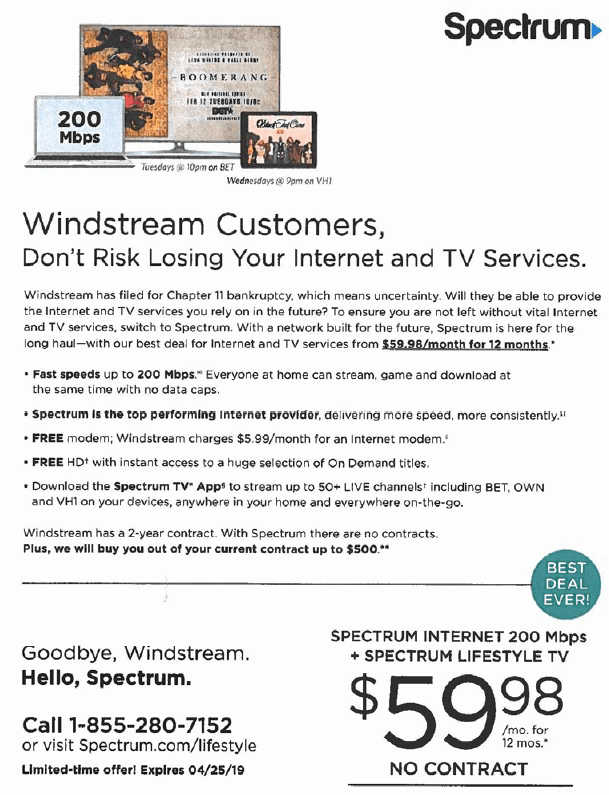 Charter sending these letters serves Windstream right because transparency is what you should have with your customers, not hiding secrets like bankruptcy fillings. 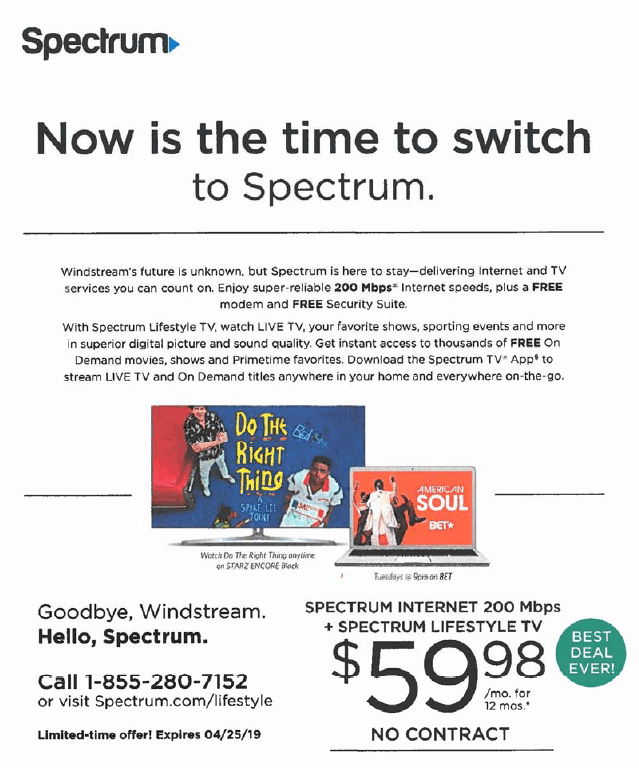 Charter might be thinking about just getting new customers but they seem to care enough to offer these deals to these people under Windstream control. Either way, Charter has the right to do this and what’s wrong with this practice? 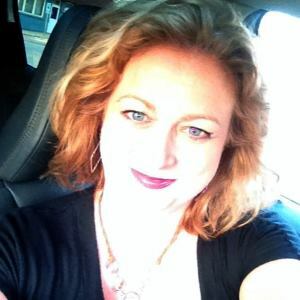 Charter is clearly offering far superior services for a better price. I would go with them too. They’re also doing this with Google as well in the areas where Google fiber is leaving or not planned in being built anymore. Always good to be transparent.